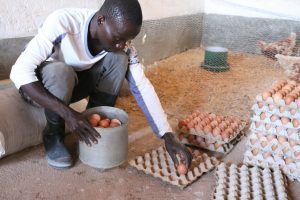 Kanyenyeva Ministries has started a chicken/egg business in Lilongwe. They have started the business with 700 chickens and plan to increase to 1,000 by the end of 2016. The profits from this business are used for the feeding program at the orphan project.